If you are unsatisfied with current mobile operator, with keeping same mobile number you can now switch over to another operator. Your mobile number will be the same. This facility will be available from 25th November 2010. Most probably it will cost few amount nearly Rs 100 or something. 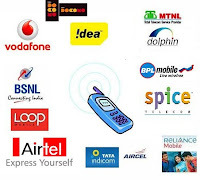 Currently in India many people are not able to change operator because they have used his/her mobile number at lot of places like applications forms , various services and many other people have saved their mobile number. If they want to switch over to other mobile service provider, It is too difficult to update mobile number at all places . Many mobile service provider provides some specific facilities in better way, like GPRS plan, free roaming, low call rates, better mobile reception etc. Now people can change to suitable service provider according to their use. To change mobile service provider keeping same number, you need to apply in a form, that will be available from 25th November 2010.